Vice President Mike Pence unleashed some of the most stinging criticisms of NATO allies Germany and Turkey yet from the Trump administration, contending that both countries' recent actions threaten to undermine the alliance. Context: Some NATO allies see President Trump as a threat to the alliance, with Trump himself having privately mused about withdrawing the U.S. from NATO on multiple occasions. 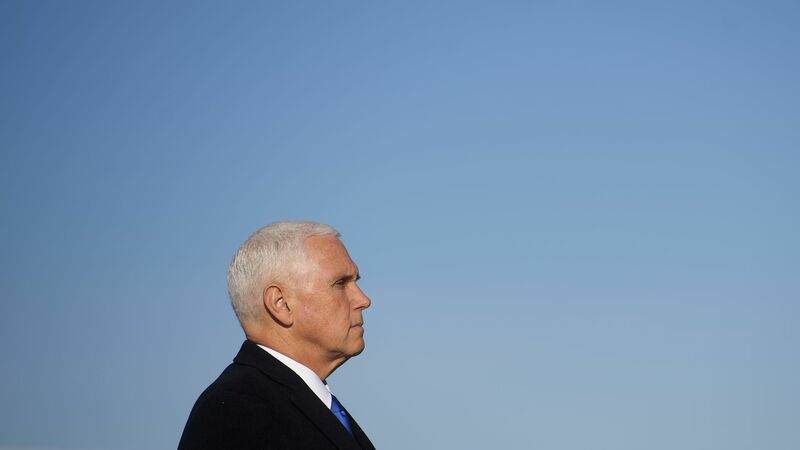 Speaking at a conference in Washington marking NATO's 70th anniversary, Pence claimed that “the alliance at 70 has never been stronger,” due in large part to Trump’s leadership. He argued that far from dividing the alliance, Trump’s criticisms of members for falling short on defense spending were exhibitions of American leadership. On Germany: Pence said that while several countries have increased defense spending in recent years, "too many others have fallen short," with Germany being "chief among them." He also targeted Germany over the Nord Stream 2 pipeline, which will transport Russian gas to Germany. He said Europe cannot remain united and secure "if our allies become reliant on Russia." "It is simply unacceptable for Europe’s largest economy to ignore the threat of Russian aggression and continue neglecting its self-defense," he added. Why it matters: The U.S. is far from the only NATO member furious with Germany for its refusal to move toward NATO's defense spending target of 2% of GDP. That target has become a major political football in Germany, where Trump is deeply unpopular. On Turkey: Pence said Turkey’s decision to buy an advanced missile defense system from Russia "poses great dangers to both that country and all of NATO." "Turkey must choose," Pence said. "Does it want to remain a critical partner in the most successful military alliance in history or does it want to risk the security of that partnership by making such reckless decisions that undermine our alliance?" Earlier today at this same conference, Turkey's foreign minister said the purchase of the Russian system was "a done deal." Pence also said the U.S. role in Europe will change as China's rise demands "more of America’s attention and resources." "And as we meet that challenge," he said, "our European allies must do more to maintain the strength and deterrence of the Transatlantic Alliance." In the room: Pence’s speech was not warmly received by the audience, made up mainly of security experts and diplomats. There was an awkward silence after Pence said NATO had been rejuvenated by "the resolute American leadership of President Donald Trump."